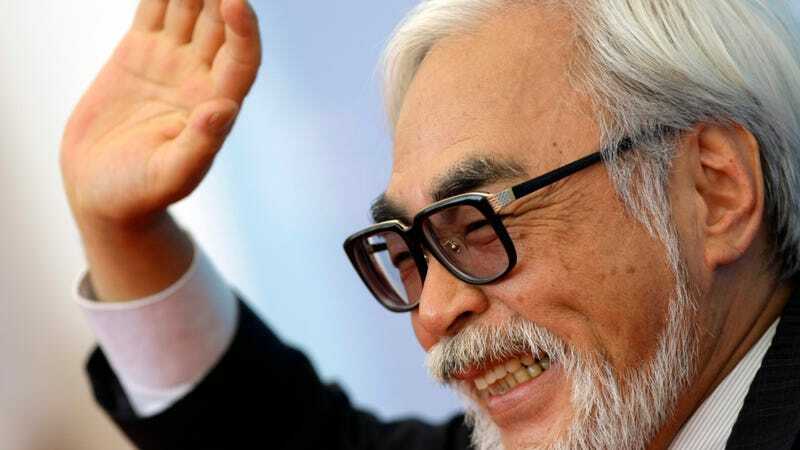 There have been many questions concerning why famed animator Hayao Miyazaki is retiring. Today in Tokyo, he answered them. The director spoke about how his eye sight was getting worse, making it hard for him to create his animation. He also said how each year, he is leaving his desk earlier and earlier. Miyazaki stated he needed to rest, and he didn’t want to make any promises. When he asked if he planned to produce a Nausicaä of the Valley of the Wind sequel, he said no. The famed animator said there were things he wanted to do, but said he wasn’t willing to state them publicly if he isn’t able to do them. In his official retirement statement (here), Miyazaki wrote that he wants to work “for another ten years.” He added that it might be shorter, as you can’t decide your own life span, but he is aiming for another ten years that isn’t filled with feature film production. Miyazaki said he would like to be more involved in the Ghibli Museum on a volunteer basis. “Maybe, I’ll be exhibited in the museum,” Miyazaki joked.